The Park Federation Academy Trust runs 6 highly regarded academies in the Slough and West London areas, educating and caring for 4,000 children. We were delighted to win the contract to provide the full range of fire protection services for the Trust early in 2016, covering fire extinguishers, fire alarm servicing and installation and sprinkler systems. Because it’s important that we don’t disrupt the term-time schedules, we have worked out our service dates for each academy a year in advance, to make sure all work can be carried out whilst the pupils are on holiday. 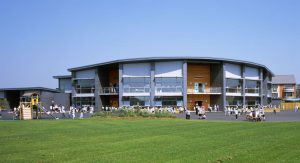 We have already had the opportunity to help our client by carrying out a fire alarm upgrade at one of the academies during the Summer break. As this job included work at height and also had to be carried out in restricted hours, we put in one of our most experienced teams to make sure the work was concluded on time and accurately.